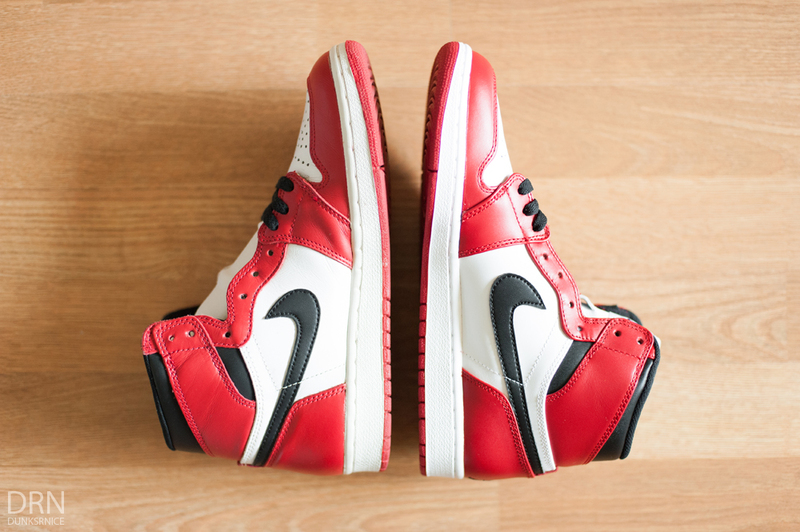 D U N K S R N I C E: Air Jordan I's - 1994 & 2013 Comparison. Air Jordan I's - 1994 & 2013 Comparison. I'm not sure if I have done an actual side-by-side review on an older retro to a recent model sneaker release. Now for starters, for those who don't know me, I am always about quality when it comes to the sneakers. I'm never about how fresh or clean a shoe is, that's the last thing on my mind when it comes to shoe. 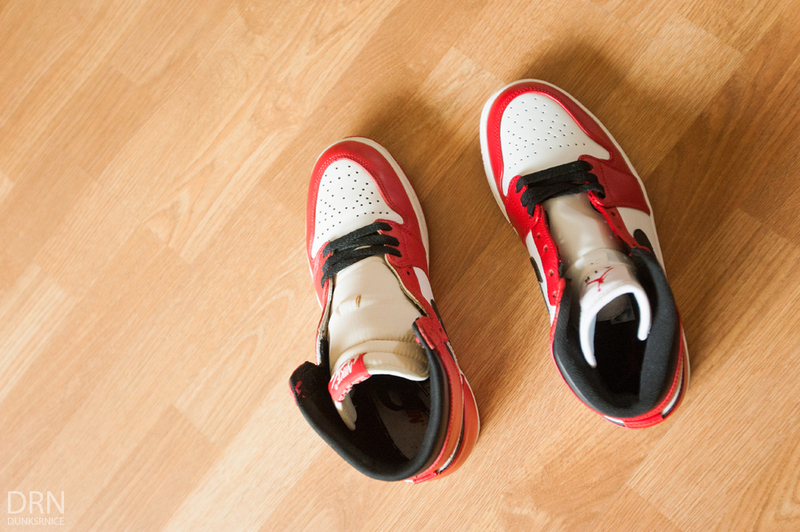 We all have our reasons why we buy, sell, and/or collect shoes. With that being said, I'll get right into each details. - Probably the number one thing people want to know most. I only have worn my 1994 pair roughly 4 - 5 times tops. 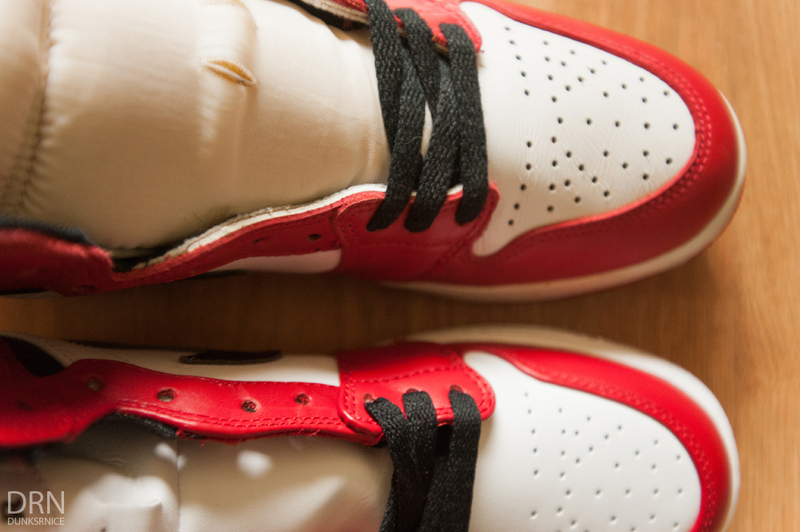 It's comfy from the padding in the insole along the leather that wraps your feet. The 2013 pair when wearing or trying feel a bit stiff but after a few wears you, the leather choice makes them easily to break in and becomes more comfortable through out time. 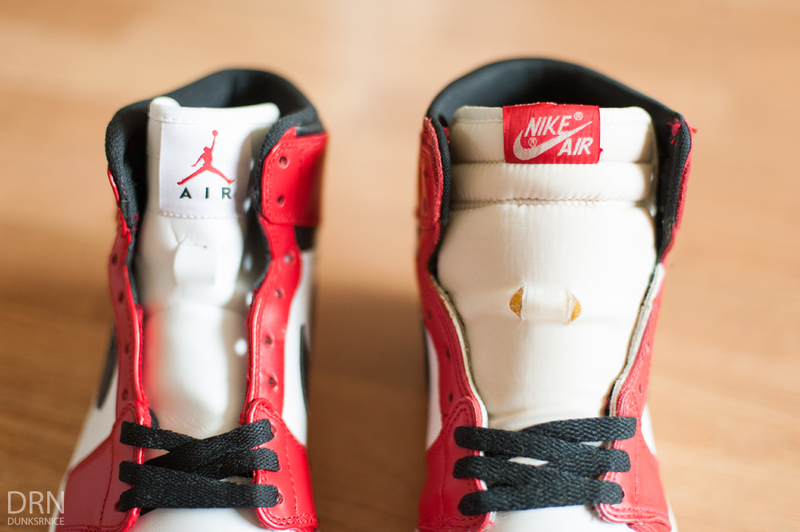 - The leather is a bit thinner compared to the 1994 pair, as the 1994 pair is a little bit thicker. You can't really tell a difference as much even when I did a thumb and finger test. I do this to most retros to see how thick or thin the leather or material choice is being used. Not much of a difference. 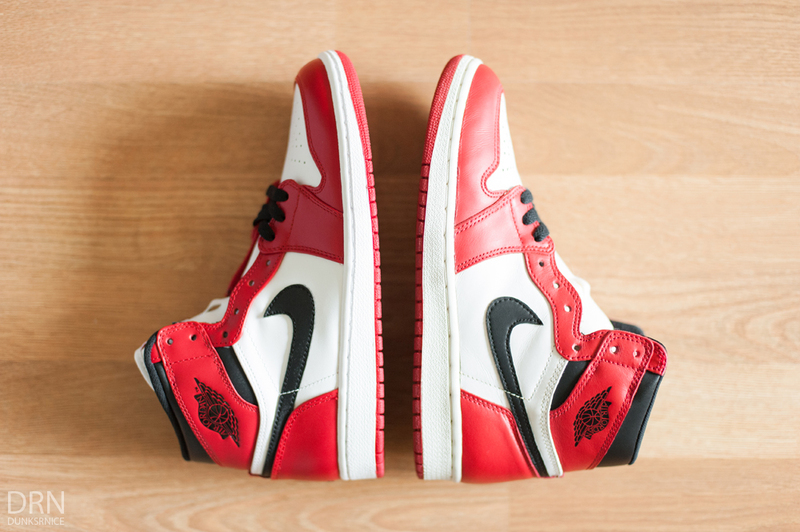 - The 1994 pair doesn't gets as creased but the 2013 pair seems to be just slightly the same. It's weird, seems Jordan Brand did something different, in which it creases a lot less compared to my other previous I's. - The quality overall, I couldn't complain. It's a thumbs up in my boat. 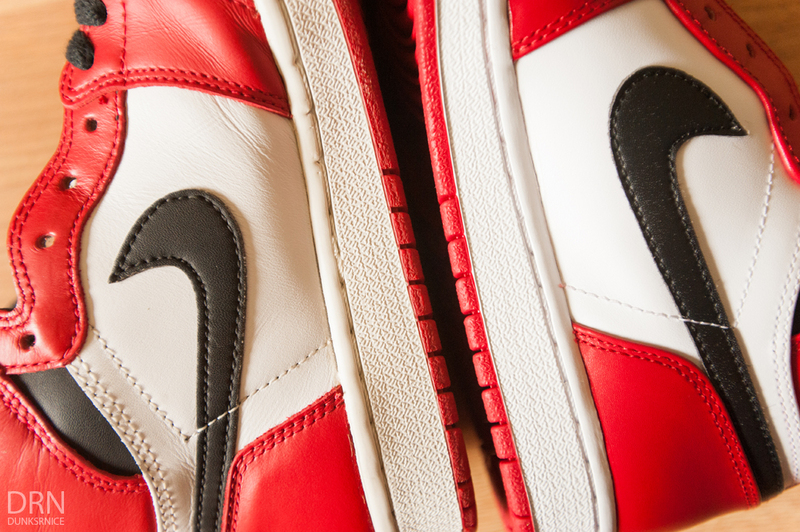 - The shade of red for the 2013 pair is a bit darker compared to the 1994 pair. They finished the overall paint with a gloss for the 2013 which, separates the color difference from the 1994 pair. 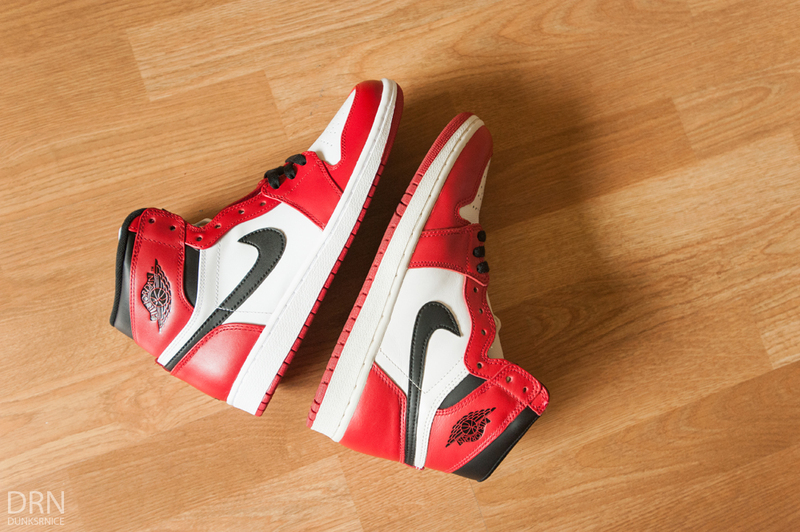 - Jordan Brand made it the 2013 red color to distinguish the difference from the 1985 and 1994 pair easily. This one was easily to point out. - For starters, the box. They brought back the original black and red colorway but using the Air Jordan logo to separate the Nike black and white from 1985/1986. Although the youth and smaller sizes come with a black and red Nike on the box the 1994 pair comes with an amazing fine detail with Air Jordan's I - IX. It's my favorite box out of all Jordan model sneakers not to mention the largely retro card with some history facts. - Believe it or not, one thing the 2013 pair has that the 1994 pair doesn't is more padding around the ankle support. You would expect this in older or original Jordans, but the 2013 has more padding. A different texture design material but more padding which is a thumbs up in my book. - The height and length difference is off just a bit. Not nothing too major, but you can see in the photos that the 1994 pair is smaller a tad bit compared to the 2013 pair. 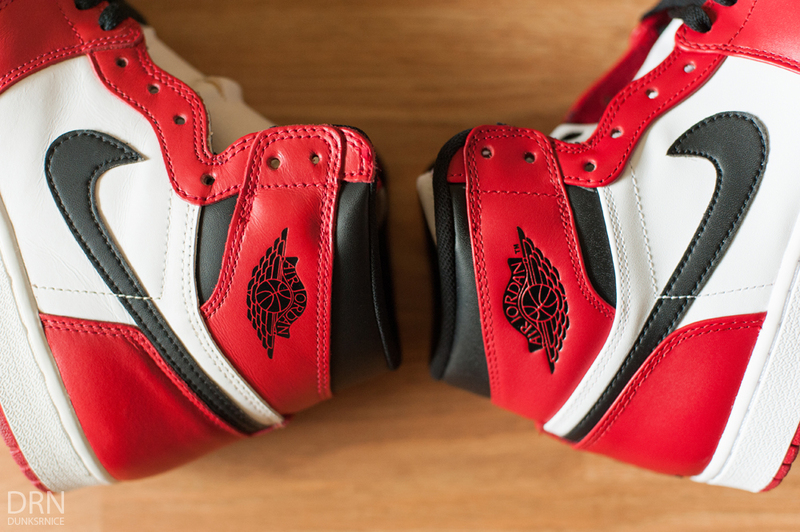 - The Air Jordan Logo on the 2013 is larger compared to the 1994 pair. 2013 logo seems to stand out more and is more dented into the sneaker. Not to mention the small "TM" is on the logo as the 1994 pair isn't. The difference in the blacks as you can see, it's there but not much again. 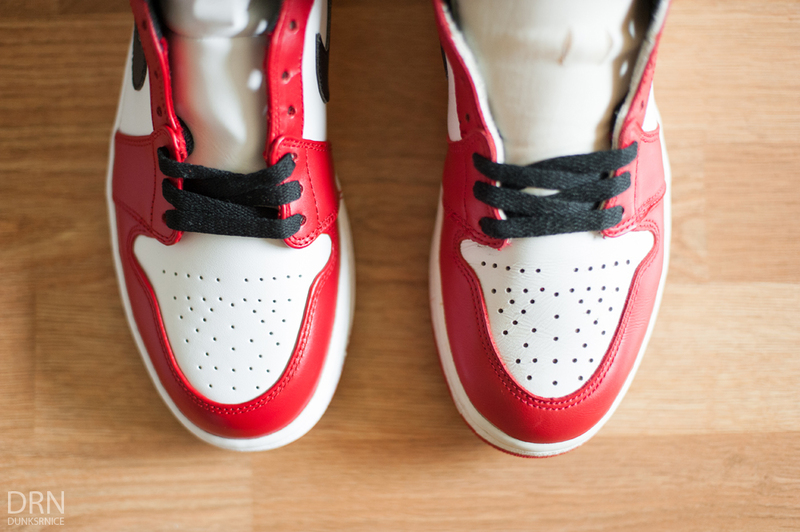 - One thing which separates the two is the choice of color padding on the 2013 pair. It uses the color red compared to the 1994 pair which is white. - Of course the Jumpman Air and back of the shoe in the 2013 are completely obvious. That will always make the difference from the 1994 pair. 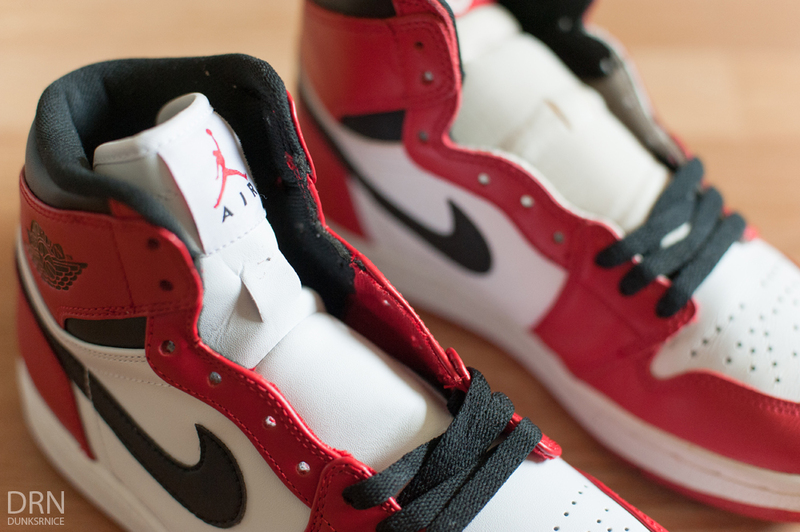 - The tongue material in the 2013 pair is leather compared to the 1994 pair which is mesh. The mesh is very soft and comfortable when being worn as to leather tongues its thin and not as comfortable. It's another key material which separates the 1994 pair. 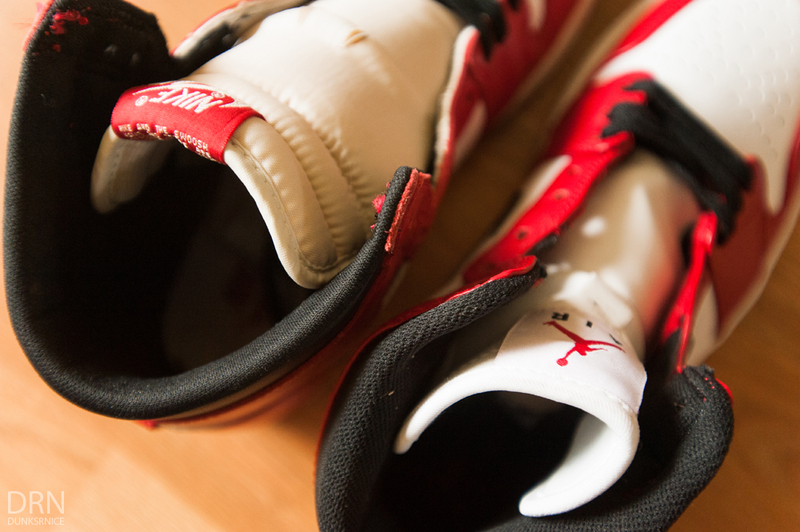 - The insoles on the 1994 pair has a white base with a red Nike Air. 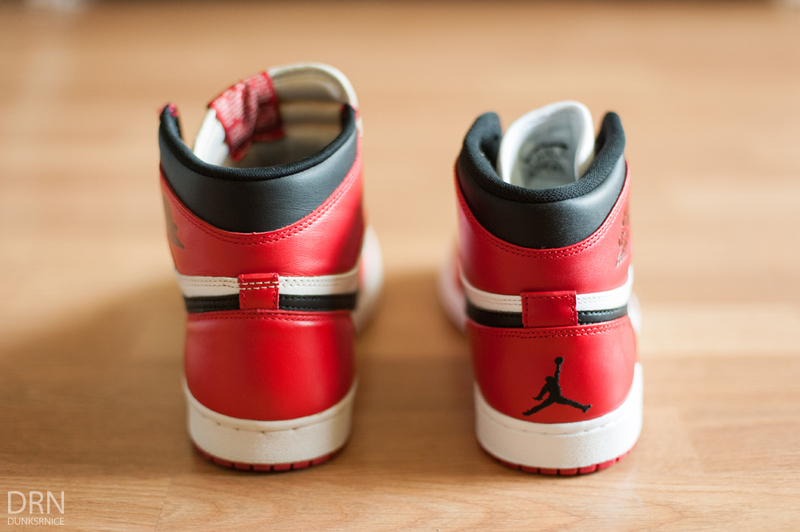 The 2013 pair has a black base with a red Jumpman. 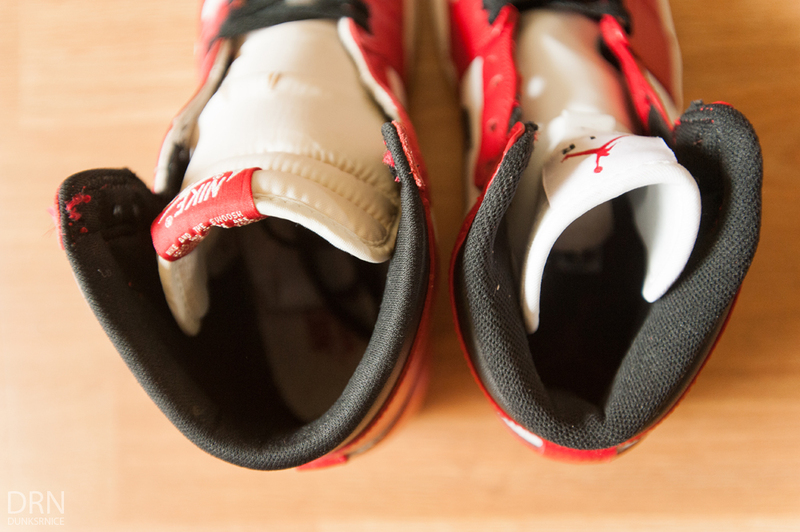 - The shoe tag on the 1994 pair is on the side as the 2013 pair in on the back of the tongue. 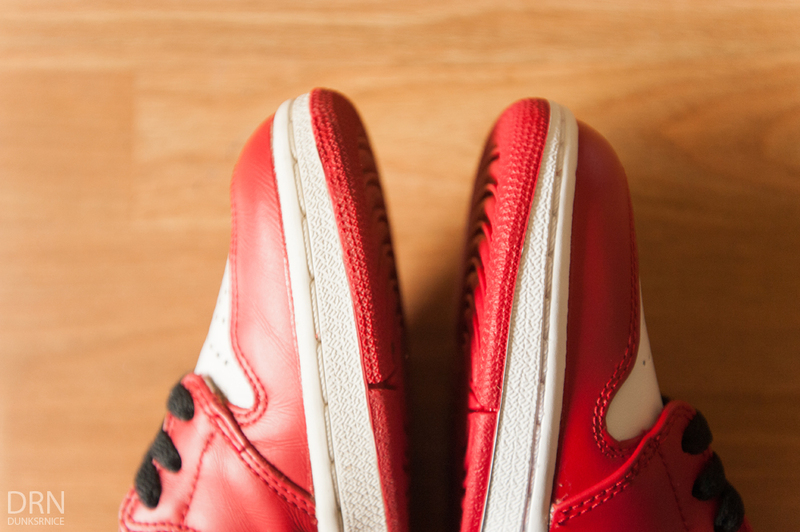 - The small holes on toe box on the 2013 pair are smaller compared to the 1994 pair which is a bit larger to ventilate air circulation. - The sole, stars, laces are somewhat differently. - The lace holes have a tad bit smaller cut to it but nothing too much to worry about. If I was to wear jeans or pants, and had the tongue covered and not sticking out, could you really tell the difference? Too be honest not really depending on the distance your looking at. Viewing up close you might, but far away you can't tell the difference at all. The quality seems to be a lot better and has stepped up a notch or two in my book. It's a classic colorway. If you're one of those people who can't stand the Jumpman Air or not used to it and still taking time to (Which was me for some time) this might not be for you. I will say this; it doesn't help by saying "Oh it's crap quality." or "Great, now everyone has them." If you feel that something is off or missing, simply don't get them. Jordan Brand is basically business and it's great that they retro colorways and model sneakers I always wanted rather than finding older retros or originals for high priced. Sooner or later Jordan Brand will retro all if not majority Jordans but will take time. With that being said, at the price of $110, why not? From a scale from 1 - 10, it's easily a 9/9.5. Two thumbs up for me. If you would like to see more sneaker reviews, thoughts, and comments, feel free to leave a comment below. Thanks for your time.